Leandra Weal has a bad habit of getting herself into dangerous situations. While hunting neodemons in her role as Warden of Ixos, Leandra obtains a prophetic spell that provides a glimpse one day into her future. She discovers that she is doomed to murder someone she loves, soon, but not who. That's a pretty big problem for a woman who has a shark god for a lover, a hostile empress for an aunt, a rogue misspelling wizard for a father, and a mother who—especially when arguing with her daughter—can be a real dragon. Leandra's quest to unravel the mystery of the murder-she-will-commit becomes more urgent when her chronic disease flares up and the Ixonian Archipelago is plagued by natural disasters, demon worshiping cults and fierce political infighting. Everywhere she turns, Leandra finds herself amid intrigue and conflict. It seems her bad habit for getting into dangerous situations is turning into a full blown addiction. As chaos spreads across Ixos, Leandra and her troubled family must race to uncover the shocking truth about a prophesied demonic invasion, human language, and their own identities... if they don't kill each other first. Although it was a small novel, both in size and in scope, Spellwright made a sizeable splash in the speculative fiction scene when it was released six years or so ago. 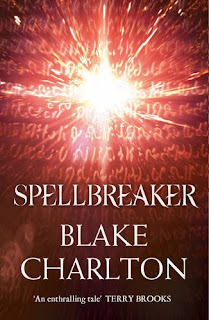 First-time author Blake Charlton brought his own experiences as "a proud dyslexic" to bear brilliantly by exploring the place of a young man who misspells everything in a world in which magic is literally written. Spellbound was bigger than Spellwright in the same several senses. It expanded the overarching narrative from the magical academy where Nicodemus Weal came of age and learned of something called the Disjunction to take in a distant city and a second central character. Again like the author, a medical school student by day and a writer by night at the time, Francesca DeVega was a physician poised to use her powers to heal the needy, but when she too became aware of the coming catastrophe, she had to put her pursuits on the back-burner to help Nico defeat the demons—demons that meant to destroy the lifeblood of the living: language. But the demons were not defeated by our heroes... only delayed. And now, in Spellbreaker—not the longest volume of Charlton's inventive trilogy but unequivocally the most ambitious—the Disjunction is at last at hand. In the course of looking for a third way through the imminent conflict, one that doesn't require her to ally with either the Empire or the League, Lea meets with a smuggler who sells her a godspell derived from a deconstructed divinity. This allows her to see who she might be twenty four hours into the future, and the first time she uses it, she learns that by then, she'll either have killed someone she loves, or be dead herself. 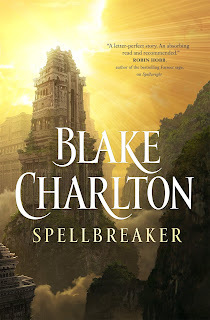 That timetable dictates the remainder of Spellbreaker, insofar as almost everything Charlton has been building towards in his trilogy comes to a head in that brief period. Before the mystery of just who Lea is to slaughter is resolved, Nico and Francesca's respective destinies are determined, the League squares off against the Empire, Vivian and her half-brother have at it, and, last but certainly not least, the Disjunction comes... if not necessarily in the sense you'd expect. 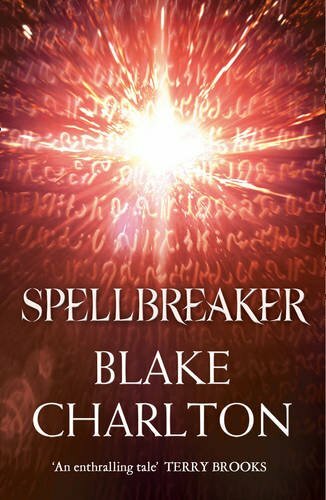 A ridiculously busy day, I dare say, and although the tight timing of it all stretches credibility a bit, that readers must run the gamut of these momentous events makes most of Spellbreaker tremendously compelling. Most, but not all; not the beginning, in particular. For all that Spellbound began the embiggening of Charlton's trilogy, overall, it felt rather rushed and somewhat muddled—as do the early stages of Spellbreaker. Why? Because this final installment wants to have it all. It wants to be an ending and a new beginning. It wants to address questions left over from Nico and Francesca's last adventures, but because it wants to be accessible to newcomers too, everything of significance that's been said before has to be said again, in layman's terms—only then can returning readers have their answers. I can't speak to how complete Spellbreaker will feel to the folks it wants to welcome to the fold for the first time, but I will say that there's so much for them to take on board that they're apt to be absolutely baffled at the start. All of which makes for an awkward reintroduction to a wonderful, albeit increasingly unwieldy world—one that's grown in complexity with every successive text, and has, as such, gotten harder and harder to get your head around. That said, Spellbreaker's matured milieu is much improved from book two's, and once the narrative catch-up is complete, Charlton brings the magic back. Much of that magic comes from the fact that the story, split as it is between Nico, Francesca and Lea, relates what is fundamentally a family affair, and having seen these characters come together from nothing, there's a real emotional weight to a tale that threatens to tear our protagonists—new and old—apart. It's a real pleasure to see Nico so sure of himself after so much uncertainty, and Francesca is as refreshingly direct and intelligent as ever. I struggled a little with Lea, in that she exhibits "the limitless potentials—grand and grotesque—of a soul," (p.473) making her markedly harder to root for than either her mother or father, but the darker things she does help to bring into focus the larger themes of this series: language as a tool both beautiful and a terrible; humanity's need for healing; and in particular difference as debilitating, but also positively transformative. 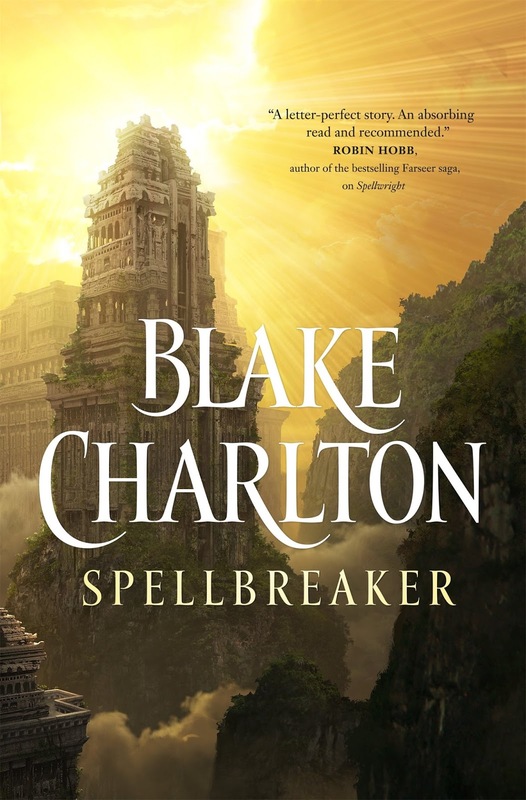 Spellbreaker may be a conclusion compromised by its seeming need to appeal to new readers, but beyond the awkwardness it's a suitably sensitive and sometimes spectacular send-off to a trilogy that's come into its own over the course of the years it took to complete, just as Blake Charlton himself has.